There are four things you should never to do your bricks if you want them to last: Add a waterproof sealant, power wash bricks, ignore signs of mortar damage and paint bricks. Bricks are durable and can survive many centuries, but only if they are taken proper care of in terms of maintenance and not abused. There are a few common mistakes people make when caring for bricks that can ultimately lead to their downfall. You don’t have to get caught making any of the following mistakes, and your bricks thank you for that. Power washing bricks can sometimes be effective when applied under very low pressure, but for the most part power washing can cause more harm than good. When too much water pressure is applied, the top protective layer of bricks starts to wear away. As a result, one power washing can drastically decrease the strength of bricks and allow further damages to develop. 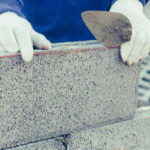 Despite the risks associated with power washing bricks, it’s not unheard of for people to use this method when removing efflorescence, mold or other eyesores. Bricks are incredibly durable and can last for many years, but that doesn’t mean they are immune to all damages or never require repairs. 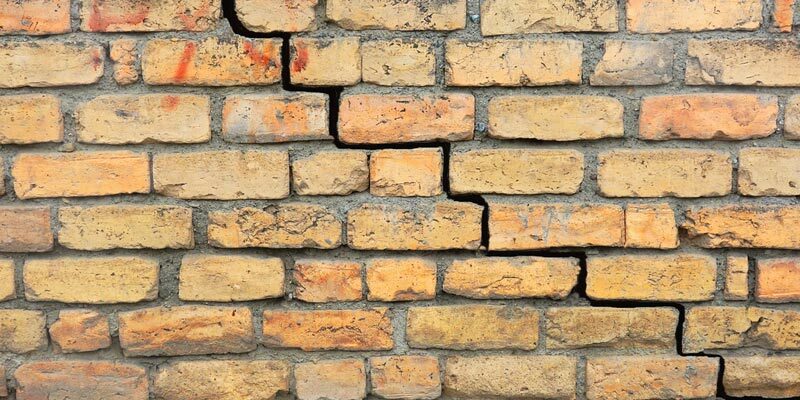 In order for brick structures to maintain their durability, it’s paramount that you always remain on the lookout for signs of cracked or crumbly mortar and bricks. 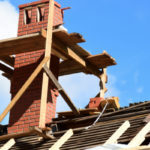 At the first sign of damages it’s important to have the appropriate masonry repairs conducted. One of the most common first signs of brick damage is crumbly or cracked mortar. Typically, long before bricks become crumbly and damaged, the mortar shows signs that it needs repairs. Mortar is made to break down before brick because it is cheaper and easier to fix. As long as weakened mortar is fixed via repointing as soon as possible, bricks should remain undamaged and in good condition. On the other hand, if mortar damage is ignored, mortar continues to lose strength and that places a lot of pressure on surrounding bricks. From here, a whirlwind of problems will start to domino, including brick spalling. Waterproof sealants are applied to bricks in hopes of keeping water out, but they can seriously damage bricks. If any moisture is trapped inside of the wall at the time a waterproof sealant is applied, there’s no way for the moisture to get out. That means it’ll remain there freezing and thawing and putting pressure on brick until brick and mortar starts to crack through. Even if there is no moisture in the wall at the time a waterproof sealant is applied, there’s still a good chance moisture finds its way in and becomes trapped. As a porous material, brick naturally breathes moisture in and out. When you take away bricks’ ability to release moisture, you put it in grave danger of water damage due to freeze/thaw cycles. For the most part, painting nice quality brick walls can be a big mistake. It’s important to acknowledge that in some cases, when dealing with poor quality masonry, adding paint can actually be beneficial. That’s because paint can provide a protective coating that old and poor quality masonry is missing. 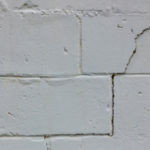 If the brick wall is too deteriorated, covered in cracks or isn’t entirely stable, paint will not solve any problems. 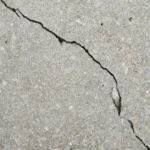 Cracks and other issues should be attended to before applying paint to bricks. If your bricks are in good shape you might want to skip out on the paint. Always ask yourself if it’s really worth it because after you paint brick you can never again get it back to its natural state. Brick is porous and therefore soaks up paint like a sponge. In the future, this makes removing paint virtually impossible. Painted bricks never look the same again. Not to mention, you’ll need at least twice the amount of paint to cover a brick wall than you’d need to paint any other material wall of the same size.